Eric Idle was born on the 29th March 1943, in South Shields, County Durham, England, and is an actor, comedian, musician, singer, songwriter, but still best known to the world for being one of the Monty Pythons, and a part of the rock band The Rutles, a parody band inspired by the Beatles. 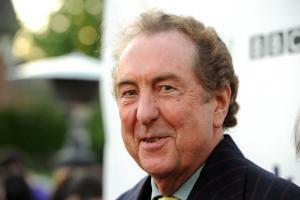 Have you ever wondered how rich Eric Idle is, as of mid- 2017? According to authoritative sources, it has been estimated that Idle’s net worth is as high as $40 million, an amount earned through his successful career, which started in the late ‘60s. Eric has also published a number of books, including “Hello Sailor” (1975), and “The Road to Mars” (1998), the sales of which have also improved his wealth. Eric is the son of Norah Barron, a health visitor, and Ernest Idle, who was in the Royal Air Force but was killed shortly after the war in a hitch-hiking accident. His mother had a tough time raising him and working at the same time, hence, she enrolled him in the boarding Royal Wolverhampton School when he was only seven years old. Unfortunately, his time there was troubled, as he was bullied by other boys. He found his solace listening to Radio Luxemburg and watching soccer games of the local club, Wolverhampton Wanderers. He enrolled at Pembroke College, Cambridge to study English language and while there he joined Cambridge University Footlights Club on the invitation of the president of the club, Tim Brooke-Taylor, and Bill Oddie, who was already a member. While at the University, Eric met and befriended his future colleagues and Monty Python co-founders, Graham Chapman, John Cleese, then Terry Jones, Terry Gillian, and Michael Palin. They first worked together on Eric’s children’s television comedy series “Do Not Adjust Your Set”. Then Eric began working on a comedy sketch show and invited others to join him. From 1969 until 1974, they filmed 46 episodes and became nationally known as Monty Python’s Flying Circus. Apart from the television show, the Monty Pythons appeared on stage, and in four films, including ‘Monty Python’s – “The Life of Brian”, – “and The Holy Grail” – “The Meaning of Life” which only increased Eric’s popularity and net worth as well. After gaining massive popularity, all six members went their separate ways in the mid- ‘70s, with Eric creating the sketch show “Rutland Weekend Television (RWT), with the help of Neil Innes, who wrote the music for the show. RWT spawned a parody rock band The Rutles, inspired by the Beatles; in its original line-up, it comprised John Halsey and Rick Faatar, aside from Innes and Eric. They reached stardom with songs “Cheese and Onions”, “Piggy in the Middle”, and “I Must Be in Love”, among many other creations. Eric has had further success in acting; back in 1990 he featured in the comedy film “Nuns on the Run” (1990), then in 1993 starred in the comedy “Splitting Heirs”, directed by Robert Young. In 2003 he gave voice to Declan Desmond in the animated TV series “The Simpsons”. In 2004 he wrote the script and music for the Broadway musical “Spamalot”, for which he won Tony Award for Best Musical, Drama Desk Award for Outstanding Lyrics, and Grammy Award for Best Musical Theater Album. In recent years, Eric and the rest of the Monty Pythons appeared live in London’s O2 arena in 2014, which was made into the documentary “Monty Python Live (Mostly)”, and has been the host of the show “The Entire Universe” (2016). Regarding his personal life, Eric has been married to Tania Kosevich since 1981; the couple has one child together. Previously, he was married to Lyn Ashley from 1969 to 1978, with whom he also has one child. Thanks to his successful career, Eric received numerous recognitions, including being voted as the 21st favorite comedian out of 50 in The Comedian’s Comedian 2005 poll by comedians and comedy insiders, while also an asteroid 9620 Ericidle has been named in his honor. as Gunther / Fish #3 / 'Meaning of Life' Singer / Mr.